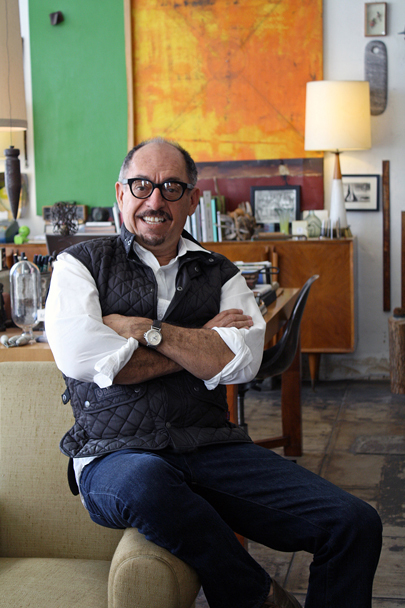 A native Angelino, Gary studied at UCLA’s School of Interior Design, and opened his own full service residential/commercial design firm in 1981. His aim is to create interiors that are timeless and classic, but at the same time comfortable and usable. Since opening his doors the demand for Gary’s design aesthetic has grown. His interior design work encompasses residential and commercial spaces from coast to coast, with projects in Los Angeles, Lake Tahoe, Montana, Vail, Santa Fe, New York, Greenwich, and Rhode Island to mention a few. Gary launched his furniture line, Gibson Studio in 2000 which continues Gary’s design aesthetic utilizing such classic metals as bronze and stainless steel, along with beautiful hardwoods. Gibson Studio to this day continues to expand Gary’s need for new and innovative product, which now includes a classically designed line of home accessories. GIBSON, Gibson Studio and Gary Gibson Interior Design have been featured in such publications as: Architectural Digest, Angeleno, Veranda, Elle Decor, Los Angeles magazine, and many other local and national publications. In an ever changing fast pace world, Gibson’s media savvy team stays relevant with many social media outlets.